For summer days, the Linosa floral midi dress is a pretty seasonal piece. The sleeveless dress features a fit and flare silhouette, with a fixed waistband that accentuates the full skirt. 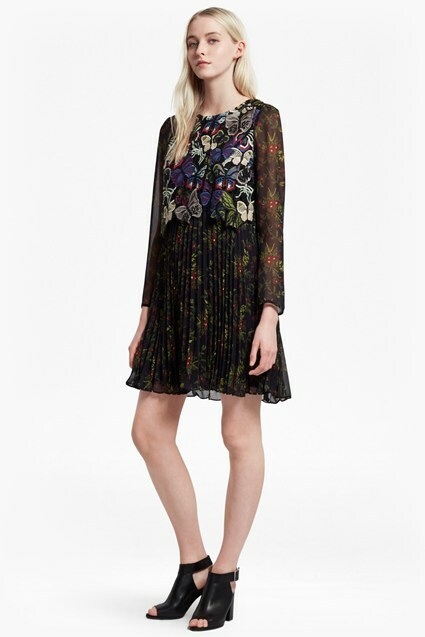 Adorned in a striking floral print, it is perfect for dressing up with heels for a summer wedding.